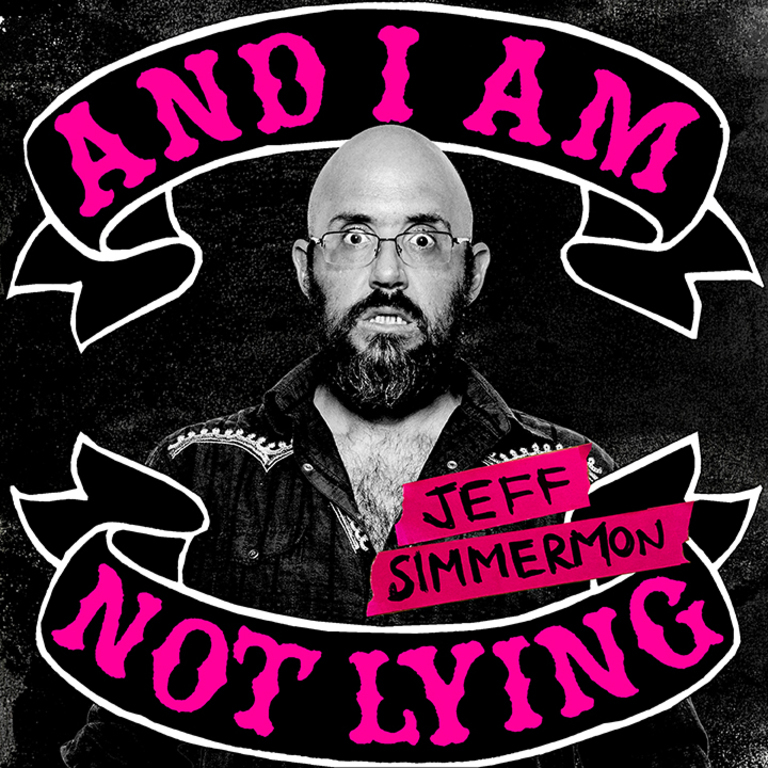 ‘And I Am Not Lying’ is standup comic and storyteller Jeff Simmermon’s debut album, recorded at the Black Cat in Washington, DC in December of 2015. The album details Jeff’s early and aborted musical career in piano-playing chicken band Royal Quiet Deluxe, a Cronenberg body-horror brush with cancer, father/son grindcore band Vomit Fist, slaughtering kangaroos in the Australian outback, furious empathy on the New York subway and a loving frustration with the culture of the South. This record is pressed onto hot pink vinyl in a one-of-a-kind limited edition release.